At this point, you know the deal with the Monster Collection. One set, two DVDs, two stories, all for the price of £6.99. 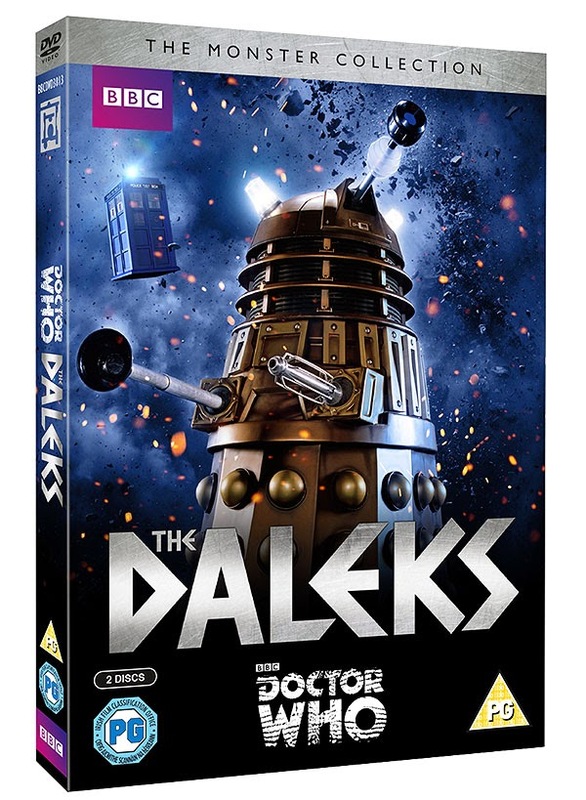 The first DVD includes the 7 part serial titled The Daleks, which introduced the Daleks for the first time, while the second is the series 7 episode Asylum of the Daleks. We begin with The Doctor, Barbara, Susan, and Ian landing in the middle of a petrified wood. After exploring, they see a city in the distance, but due to Ian and Barbara's recent kidnapping they are reluctant to do anything but return home. Unsatisfied with this, the Doctor discovers that they need something that will probably be in the city to get the TARDIS working again. Inside, they find grand architecture, but after only a little while there, they are kidnapped by the metal foes. 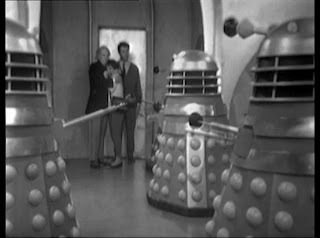 Over the next several episodes, a different race called the Thals is introduced, they fought the Daleks on Skaro and have been in hiding ever since. With the Daleks wanting to destroy them, and team TARDIS wanting to return home, it becomes apparent that the Thals must be helped and the robots defeated. them are kidnapped and taken to Dalek parliament, it's revealed that their help is needed in the destroying of the Dalek asylum. 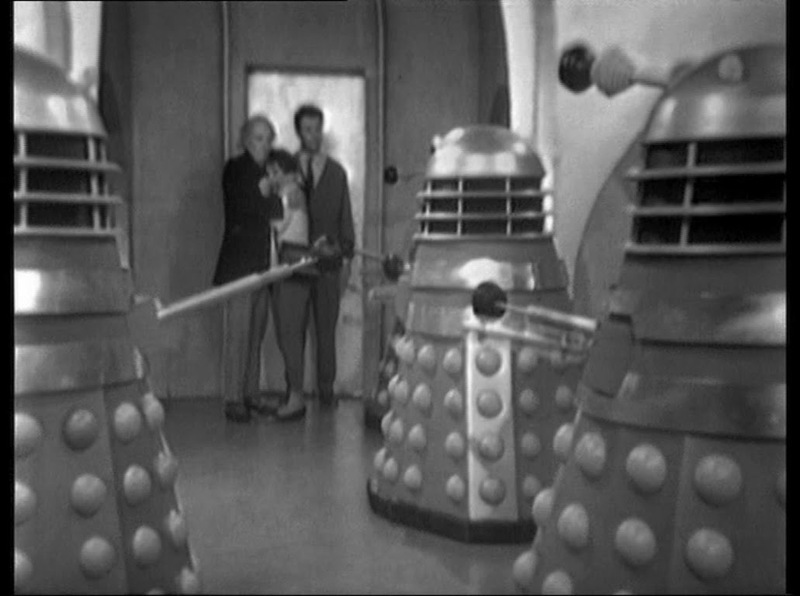 Once inside they are helped by Oswin, a tech head who's been trapped inside the asylum for a year. With the objectives of destroying the asylum, rescuing Oswin, fixing the Ponds' relationship, and escaping before it explodes, everything is on the line. I think the episodes are a good match, not only are they the first and most recent of the Daleks, but both times The Doctor is at their mercy. In the first, he's far older and more susceptible to attack and manipulation, but in the latter, although a hostage, he is far more powerful and quick on his feet. Having previously viewed the Silurian collection, my commentary as far as special features goes is relatively the same. There are none. 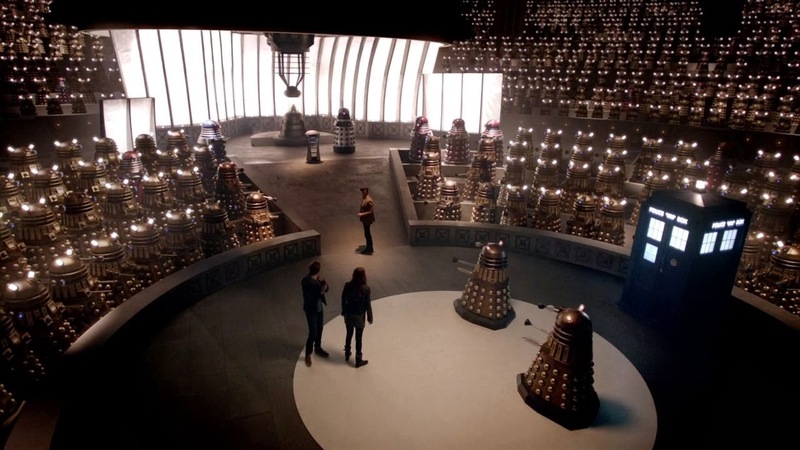 However, I personally think "The Daleks" worth watching multiple times, and therefore would probably cave for this set. Were there a set available that included special features beneath $119, I would get that one in an instant, but since there is not, if you still want this story but on a budget, this is the way to go. Having the chance to see the episode that began the lasting relationship between The Doctor and one of his greatest enemies is an exciting thing, and I am thankful they released such a classic story in this way. $119! Blimey. Amazon.com currently have two different packagings listed, one for only $19.49; it looks to have all the same features. It does say 3 disc as opposed to 4 disc (I think the original is 4 disc, one for AUE and EOD and two for TD? ), but it still seems to list all the same extras, just in a slimline packaging.